Video and snapshots from the Speed fest. Spent the last weekend at Willow Springs International Raceway "The Fastest Road in the West"! Hot time. Weather was incredibly hot and the cars at the track matched the temperature. How I Celebrated "Drive Your Alfa Day"
It is the 104th anniversary of the founding of A.L.F.A. and "Drive Your Alfa Day". 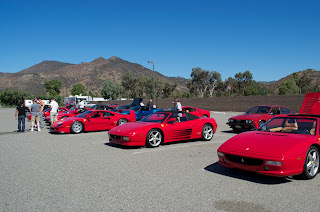 I took Margherita out with some of her cousins from Maranello on one of my favorite drives here in San Diego County. 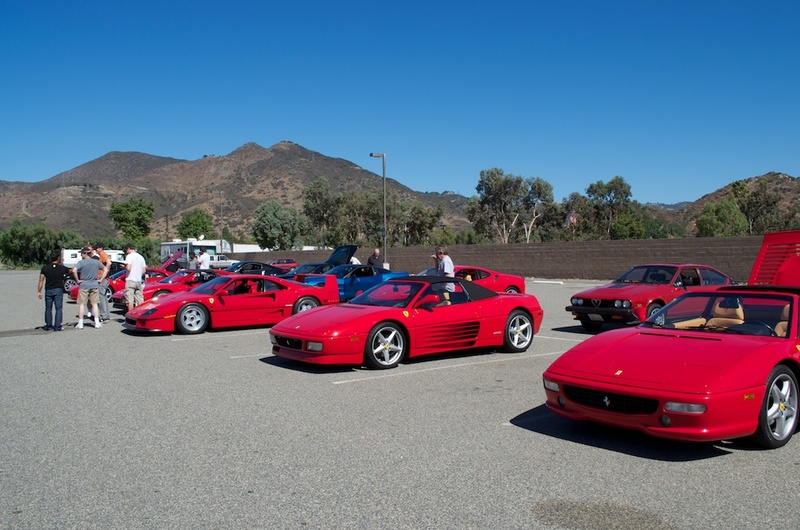 The driving group was composed of about 7 Ferraris (including a pristine F40), a couple of Corvettes and a couple of Infinitis. The route was eastbound on SR76 to Palomar mountain, then a 5000' ascent on the South Grade road where my little Alfa kept pace with the 308 QV ahead of me all the way to the top. We went down the East Grade back to 76 and then a stop at Lake Henshaw for a breather. We then headed for more twisty bits on the Mesa Grande. Came back down through Ramona and down the hill on the famous Highland Valley Rd. for lunch and debrief at BJ's. The sun was out all day, the roads were relatively clear of slow traffic and it was just the most fun I have ever had in my GTV6. When we pulled into the parking lot of BJ's I called my wrench, Erik, and thanked him for all his good work, since he was mainly responsible for getting Margherita into condition so that I could make that run. We finally got Margherita into her "new" Stilautos. I love the look of these wheels. I needed to put some miles on Margherita's new engine, courtesy of Erik at Rathmann Auto Works in Poway. It's almost time to take it in for the followup to the rebuild. So I got up by myself and headed out to Irvine and got there early enough to park right next to Craig McIntosh's nice Spider Veloce. There was a nice mix of cars with the typical number of Mustangs, Corvettes and Porsches. 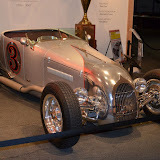 There were also a mix of "special" cars in the show area. There were TWO Iso Grifo parked in there. The yellow one has a 7L Corvette engine, (that's 427 cubic inch), very rare. Italian coachwork and design and American muscle. Margherita has got a new heart! Erik Rathmann completed the semi-overhaul of the engine and it's running very smoothly, although I haven't had a real chance to run it very hard or for very long. 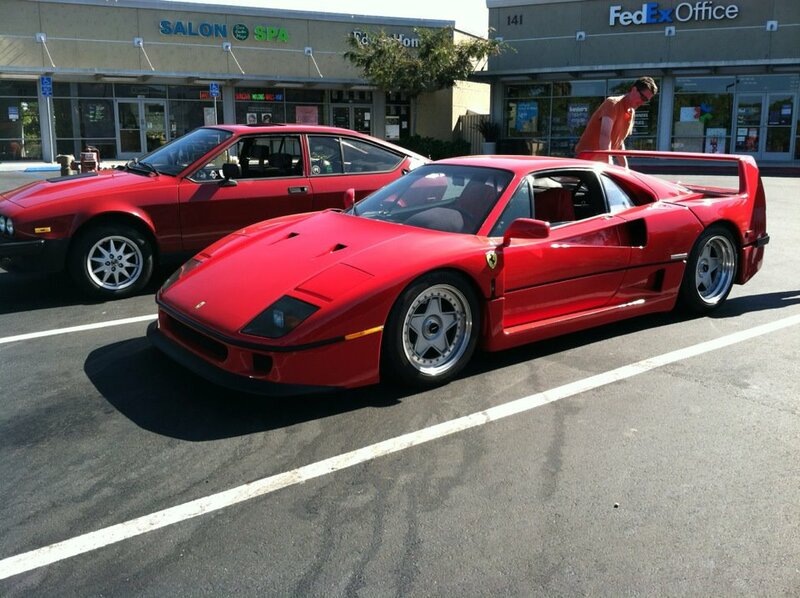 I'm hoping to make a speed run up to Cars and Coffee in Irvine this Saturday morning. Need to put some miles on the engine for break-in. Hope to see some friends on the road!!!! Ciao! 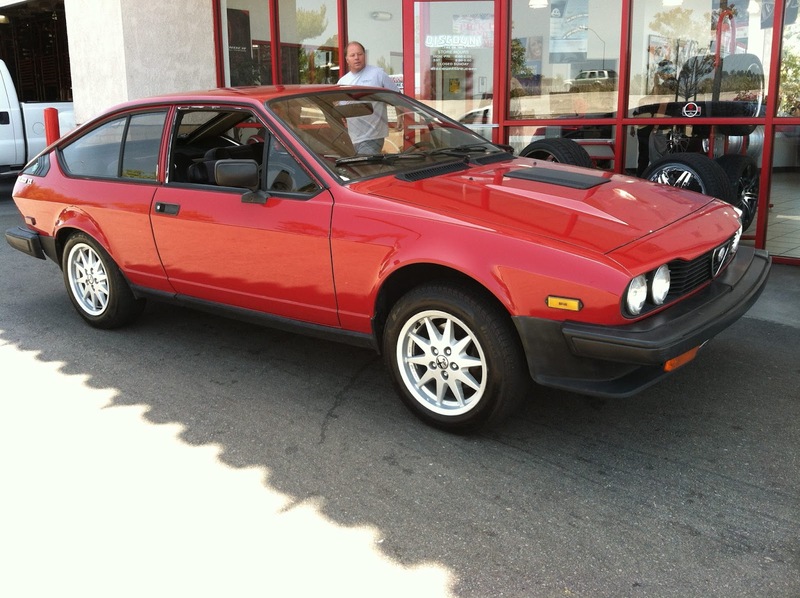 Former Alfa club member Ed Zdvorak has some parts from a 1984 Spider Veloce that he would like to donate to the club or an Alfa owner in need. 1. Alfa air conditioning compressor and system, probable good condition. 3. Alfa modified exhaust center section with straight through muffler, excellent. 5. Bucket seats, excellent light color fabric, fits spider or ?, from 1989 Honda. If you are interested, let me know and I will put you in contact with Ed. Ahead of its "official" unveiling at the Geneva Auto Show, images of the rumored new Disco Volante appeared on the autoblog.com website. Alfa Romeo to bring 7 cars to Genevea Motor Show. The current state of affairs with Margherita. Heart bypass surgery in progress. Should be off life support very soon. 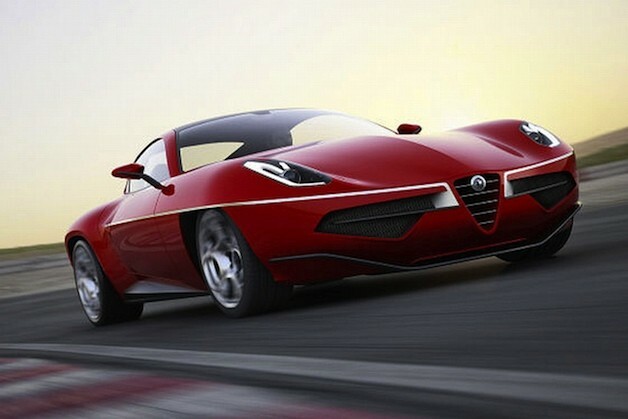 60th anniversary concept model of the Disco Volante. Alfa Romeo 8C Competizione underneath.